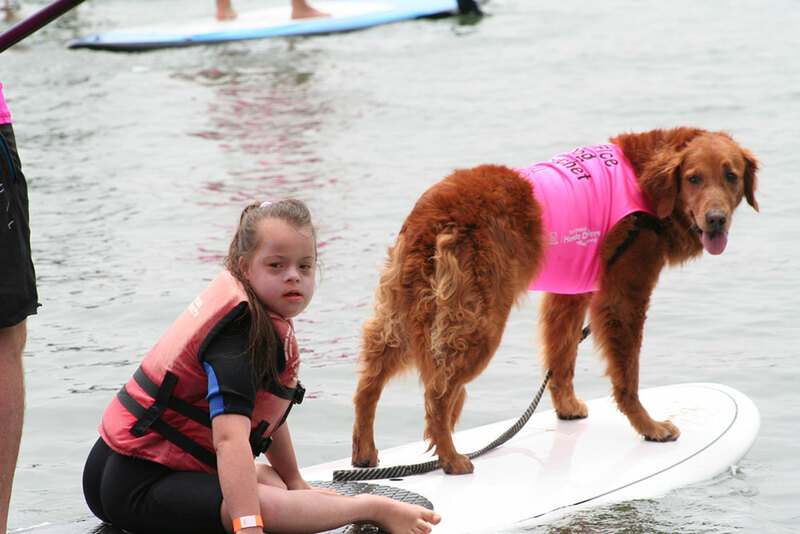 The Denver Dog Magazine – Surfing dog teaches disabled kids and vets with PTSD to surf! Surfing dog teaches disabled kids and vets with PTSD to surf! Ricochet is a world famous, award-winning surfing dog who surfs for fun, wins surf dog contests & most importantly…SURFS WITH PURPOSE! She surfs solo, with children, adults, pros, celebrities, other dogs, a goat & even Rob Machado! In 2009, she made an independent decision to jump on a surfboard with a boy who is quadriplegic and started a revolution! She clearly showed the world what her life purpose is. 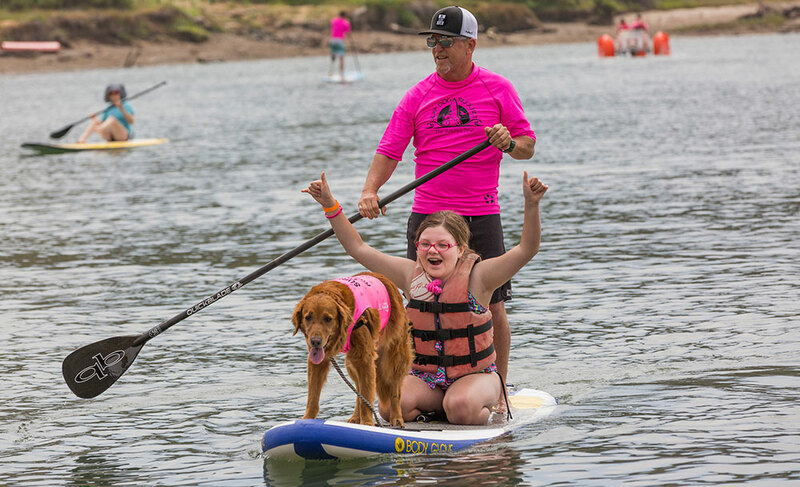 As a result, she’s the only SURFice dog® on the planet who provides therapeutic assistance while creating unique surfing experiences and other activities that reduce social anxiety and empower kids with special needs, people with disabilities, wounded warriors & veterans with PTSD. Ricochet’s pioneering efforts have organically grown to her newest therapeutic initiative, Waves of Empowerment. It’s a collaborative mentorship and comradeship program that focuses on the enrichment and well-being of veterans and civilians of all ages, abilities and backgrounds as they connect through the challenges they face. 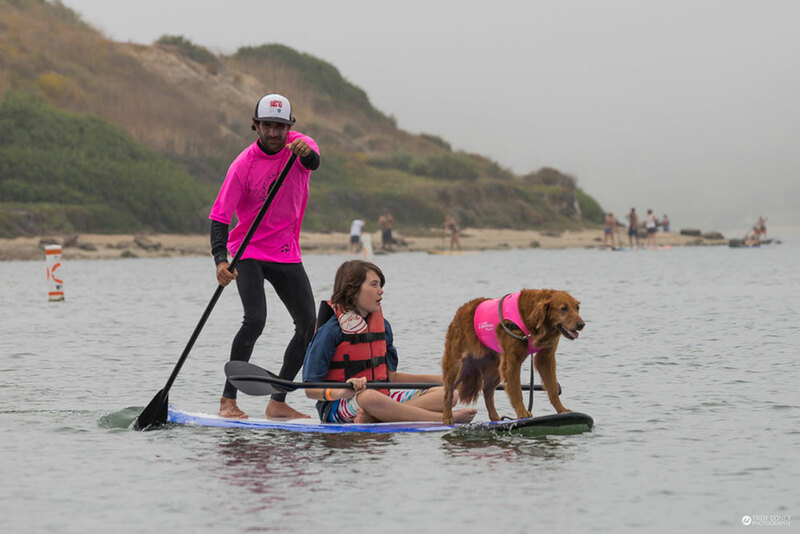 Veterans and kids with special needs are matched for a day of canine assisted surfing℠, mentoring, paddling, playing and therapy… taking them from the battleground to the playground! But what makes Ricochet extraordinary is her powerful ability to make immediate, deep, heart-to-heart connections with the individuals she interacts with. She intuitively and empathically alerts to their emotional and physical changes which allows for profound paws-on healing interventions.